Jordan Stover's awards, internships push her toward dreams. Wilfried Folaranmi finds voice in leadership roles at Buffalo State. Lucas Colón discovers two majors, confidence at Buffalo State. Taylor Seymour finds inspiration in faculty, campus organizations. 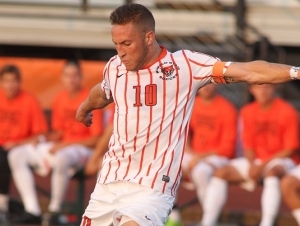 Joey Cicatello finds career direction at Buffalo State. Buffalo State offers degrees in education, the arts, science, and professional studies; a diverse and creative environment; hands-on learning; affordable SUNY tuition; and a vibrant location in the heart of Buffalo’s cultural corridor.